The Android O public beta is out now, so what are you waiting for? Here's how to download Android O now and try out the new features today. 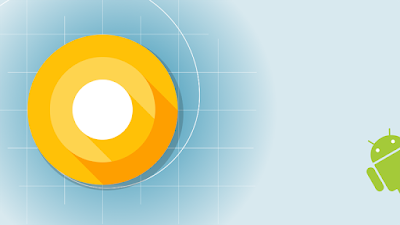 The Android O Developer Preview was made available on 21 March 2017, but not recommended for the general public. 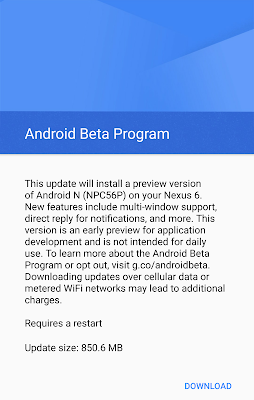 Now, though, you can download and install the public beta on any compatible Nexus or Pixel device. Should I install Android O? If you're curious, have a compatible device and are reasonably techy, then why not. You can get a good look at what's in store for Android later this year, and if you don't like it or find it too buggy you can simply revert to your previous OS. Before you begin you should take the necessary steps to ensure all your data is backed up. Will my phone or tablet run Android O? How can I download and install Android O? 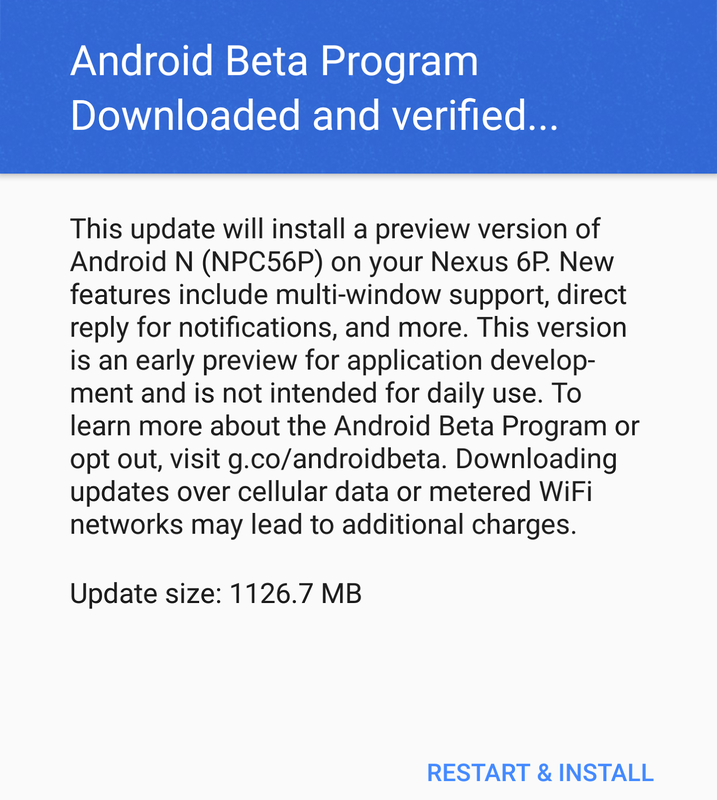 A public beta of Android O is now available to download to compatible devices. 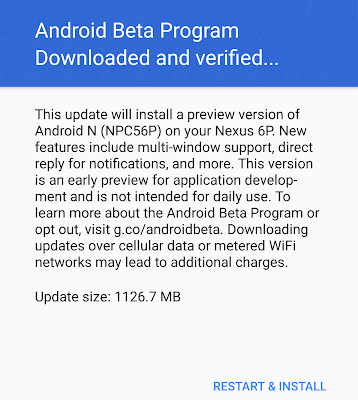 Downloading Android O is simple with Google's Android Beta Program. Any devices enrolled to the programme will receive OTA updates to the latest Android operating systems where available. 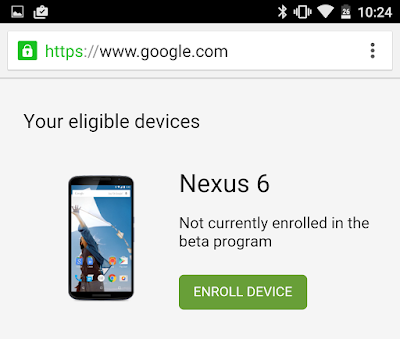 • To enroll in the Android Beta Program, open the browser on your compatible Nexus or Pixel device and head to https://www.google.com/android/beta. You will be asked to sign into your Google account. 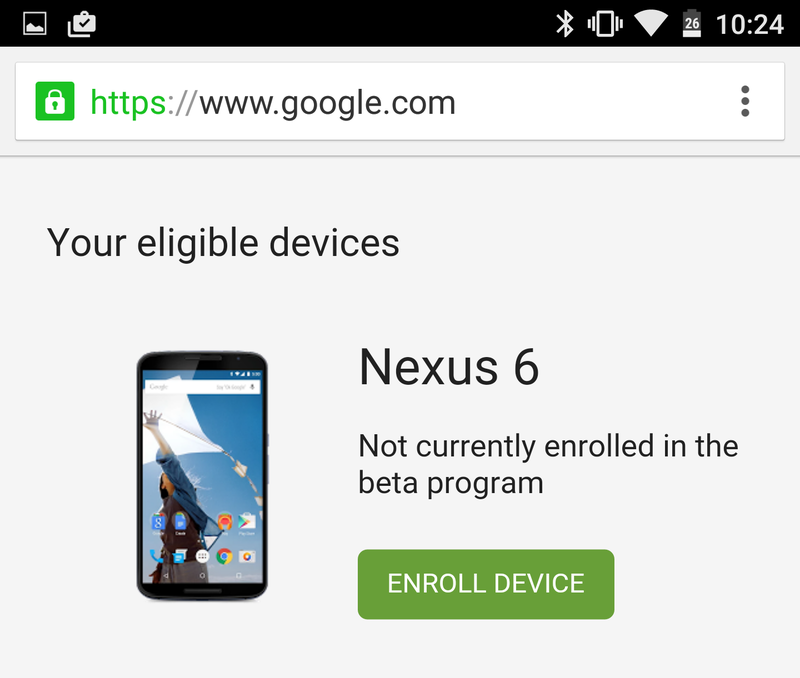 • Scroll down the page and you'll find a heading 'Eligible devices' with any compatible Nexus devices that are also signed into your account listed below. • Find the device you wish to enroll to the beta programme and click the green 'Enroll device' button beside it. 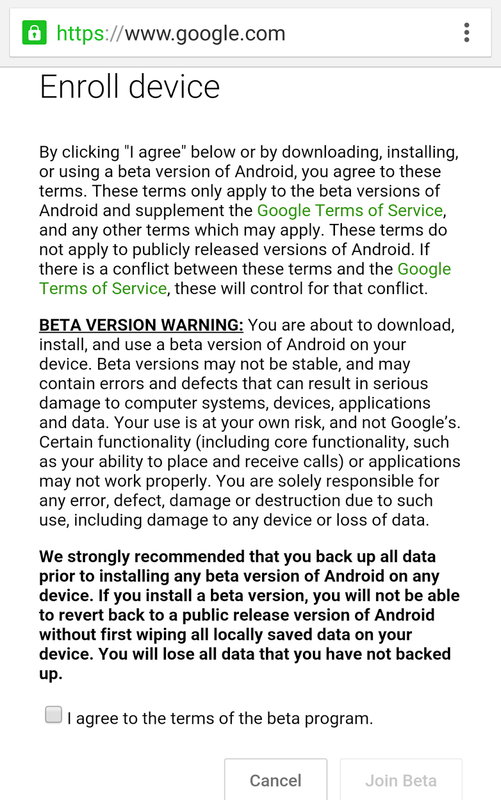 • Tick the box to agree to the terms and conditions, then tap 'Join beta'. 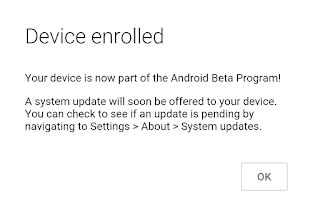 • A message will pop up to tell you your device has been enrolled and will soon receive an OTA update to the beta version of Android. 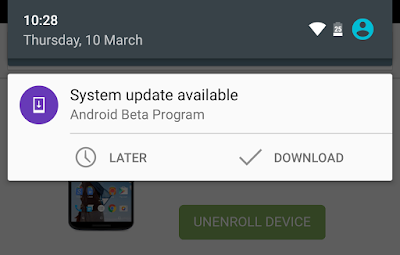 Click Ok.
• The update notification arrived on our Nexus 6 instantly, although it can take up to 24 hours. If you don't receive your update notification after that time, check you're connected to the internet then head to Settings, About, System updates and check for updates. You will not receive OTA updates if you previously manually flashed Android on to that device (as we had with our Nexus 6) - you'll get a notification that verification has failed. Instead you will need to manually install Android O on that device, and you can follow the same instructions we provide below for manually installing Android Marshmallow [coming soon]. 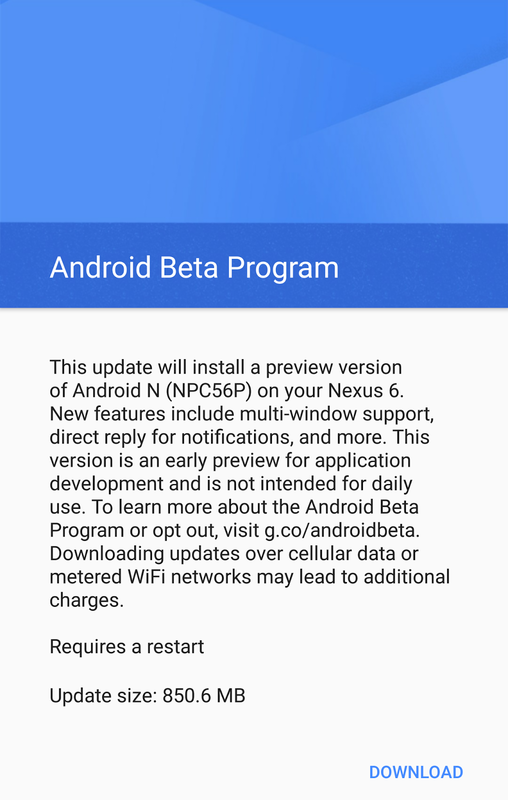 • You can now install the Android Nougat 7.1.2 Beta. Tap Restart & install to begin the process. • You'll automatically receive notifications of any new Android Nougat update. Removing or uninstalling an Android O Beta is as easy as is installing it. 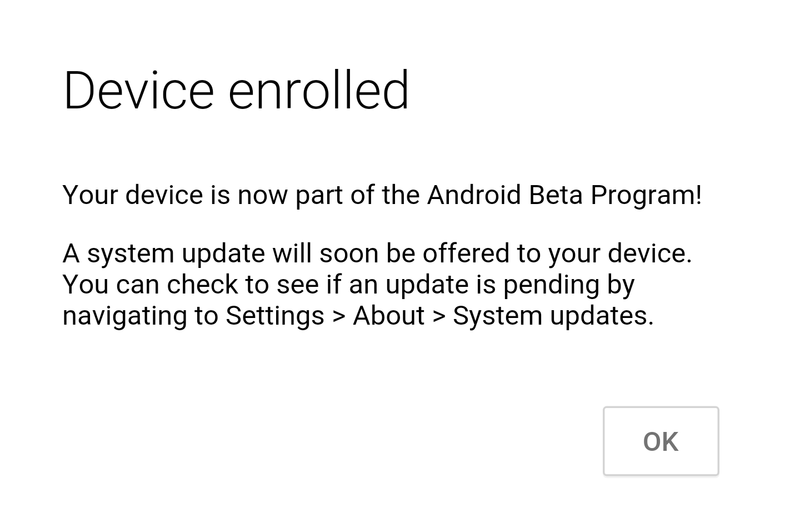 You simply head to the Android Beta Program page at https://www.google.com/android/beta then tap the Unenroll device button next to your device. 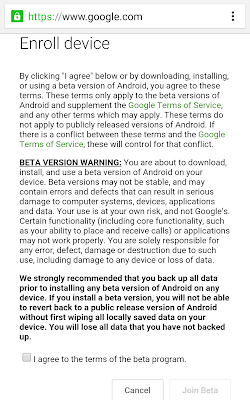 Do note, however, that doing so will wipe all data on your device - be sure to back up Android first.